Checkatrade runs strict background checks on tradespeople before they can become members. Once they join, members agree to have feedback from their customers put online for all to see. [Checkatrade have] published 1,777,762 to date. A global leader in skills education, City & Guilds develops programmes of learning, learning technology, certification and assessment, to support colleges, training providers and governments. City & Guilds has a presence in every further education college in the UK. 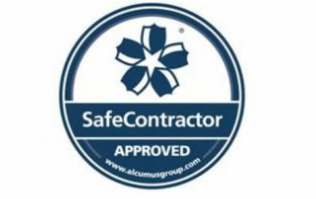 With nearly 27,000 contractor members and 300 major clients, SafeContractor is the fastest growing health and safety accreditation scheme in the UK. Over the course of nearly 70 years, Dimplex has built a portfolio of some 700 products for a public which wants affordable and attractively-designed heating solutions that are efficient, reliable and durable. Logic Certification is one of the Building Services Engineering (BSE) sectors foremost certification bodies, offering qualifications via a network of approximately 200 approved centres located nationwide. In response to concerns about ‘rogue traders’ which are often highlighted in the media, a partnership of Local Authority Trading Standards Services have taken a ground-breaking step by putting together the Buy With Confidence Scheme. The scheme provides consumers with a list of local businesses which have given their commitment to trading fairly. Every business listed has undergone a series of detailed checks before being approved as a member of the scheme.